Look what I discovered in the library office! A book ALL ABOUT LICE! And wait, it gets better! We have THREE COPIES of this book, so an entire grade level team could use it as a mentor text! I can’t wait to hear if this sparks any powerful conversations at collaborations this week. I can’t wait to bring it up at MY collaboration TODAY! Haha. The discussion of the differences between fiction and nonfiction. Talking about why publishers choose to use photographs or illustrations. Pondering why bugs in some books are seen as cute and in other books it seems like they’re included for the gross factor. Discussing the positive and negative roles insects and bugs play in our lives. Honestly, this is getting me very excited about our upcoming Insect science unit later this year. WOO! Can’t get enough sweet books about lice? Check these out! Do you love Rookie Read-About Books? You Have Head Lice! is perfect for you. Interested in a spiritual exploration of lice? Try Head Lice… What Do I Do Now?? Looking to not be limited by lice? Learn more about other icky ailments in Tapeworms, Foot Fungus, Lice, and More: The Yucky Disease Book. Summarize text, include sequence of main events. 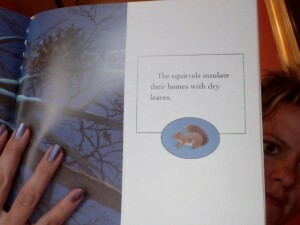 In a nonfiction book like this one, it might not seem to make sense to look for a series of “events.” But in looking at the cause and effect relationships involved in transmitting and treating head lice, students will probably be able to put together a sequence of events in the progression of lice. The “Chain of Events” graphic organizer on this site might be particularly useful. Recognize and explain cause and effect relationships. This would build off the lesson detailed above. As you review your graphic organizer, talk about which elements could be labeled cause, which could be effect, and which are both. Practice common sight words and high frequency words. Chances are, students have never read a book on head lice before. Despite this, there are probably plenty of words in the text that they already do know. Talk about the idea that knowing a good number of sight words is particularly important in nonfiction text, where your comprehension energy will probably be spent learning new information. Adjust and apply different reading rates to match text. If sight words aren’t a classwide concern, you might want to take this opportunity to slow down when you learn new information. Chances are, students who go to school are probably familiar with lice in a general way, but model and talk about slowing down and/or pausing when encountering new, surprising, or interesting information. Work quietly. Head lice are pretty gross. Chances are, your students probably had a vocal or physical response to share while you were reading the book. Discuss and brainstorm examples of how students can express their emotions or reactions appropriately while they work independently so they don’t feel stifled, yet they don’t interrupt students around them. I have been itching my head throughout the entire time I’ve been working on this post, but let me affirm that I have NEVER had head lice. Additionally, HEAD LICE is the reason, ladies and gentlemen of my classroom if you’ve read down this far, that students cannot wear hats at school but teachers can. Students have a tendency to share hats, but teachers usually do not. I wanted to highlight this as a book of the week because I know many grade-level teams have planned a unit highlighting interesting and inspiring Americans, and I wanted to make sure we have enough resources to support this unit. 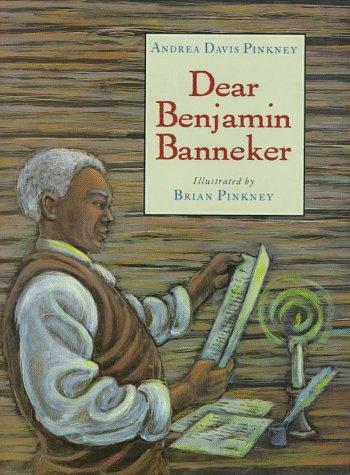 Benjamin Banneker was a freed black man living in the late 1700s who ran a successful tobacco farm, published a successful almanac, and told off a young Thomas Jefferson for his hypocrisy in owning slaves. Additionally, this book used to be an SFA text, so 30 copies are available for use as a shared text. If you use multiple bags of books, please make sure you check out each bag from the bookroom. There’s also an SFA teacher’s guide with vocabulary and comprehension questions. We have enough of a collection of books by Andrea David Pinkney / Brian Pinkney that you might want to consider an author’s study of their work. See me if you’d like help putting this together! Compare and contrast within and between text. The SFA skill focus for this book is compare and contrast. Please refer to the teachers’ guide in the book bag for more details. Use the pictures… Do the words and pictures match? More complex words like observing, plotted, astronomy, and eclipse make sense in the context of this book. It would also be interesting to use this book with the Astro Adventures science kit, because students would already be primed to be more aware of sky-and-space related terms. Select and read good-fit book. Benjamin Banneker taught himself astronomy! Amazing. The level of self-motivation he must’ve had is amazing. Our students need to strive to find topics and issues that interest them so they too can be motivated to take a lead role in their own successes. Use this book to reinforce the strategy of IPICK. Yesterday, as we were talking about the customary units used to measure weight and mass (ounces, pounds, and tons), a student wondered if elephants really were afraid of mice. I defer to the Mythbusters on this one!